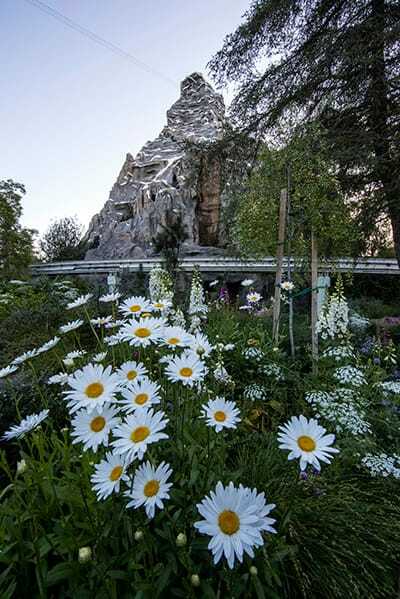 One of my favorite times to hop on the Matterhorn Bobsleds at Disneyland park is in the spring, when the flowers are blooming and it’s warm enough to enjoy a light splash of water as you dodge and dash around the mountain. In this spirit, now is the perfect time to take a look closer at this classic attraction! The idea for the Matterhorn Bobsleds was inspired during the filming of the 1959 live action Disney feature film, “Third Man on the Mountain.” During filming in Zermatt, Switzerland, Walt Disney became fascinated with the Matterhorn and his thoughts turned to how he could incorporate this inspiration at Disneyland. When you first approach the attraction, you may notice the unique station where you wait to board the bobsleds. 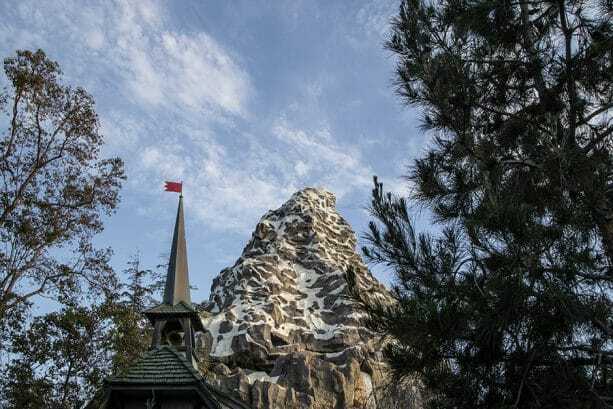 While the attraction was being designed and built, Walt and his Imagineers wanted guests to be able to enjoy the view of the Matterhorn, similar to how one might view it from its home town of Zermatt. Rising from the roofline is a picturesque tower, inspired by a famous clock tower near the real Matterhorn mountain. The clock tower is probably the second most famous sight in Zermatt, following the Matterhorn itself, and recreates a familiar scene of Switzerland’s famed chalets. Adorning the front of this quaint building are shields representing the cantons, or states, in Switzerland. The opposite side is adorned with fanciful alpine-style floral cutouts edged in brightly colored paints. The design recalls the colors and motifs found both in traditional Swiss embroidery designs as well as the decorative painted patterns found on some mountain chalets. 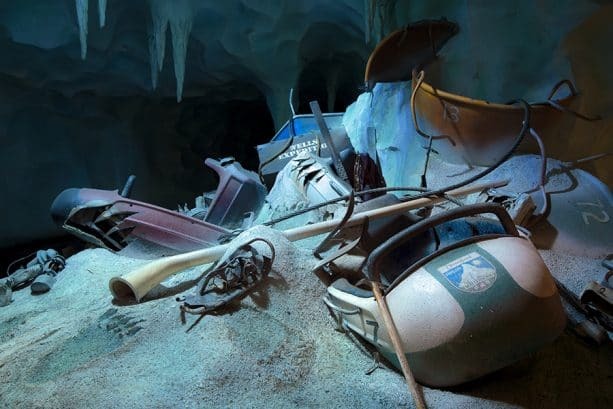 As you whisk through the Matterhorn on your bobsled, you’ll pass a hoard of mountaineering supplies and collected treasures from the mountain’s past. This scene is full of historical details, including a tribute to the late Frank Wells, who was president and Chief Operating Officer of The Walt Disney Company from 1984 until his death in 1994. Racing on, you’ll encounter the growling Abominable Snowman for one last harrowing escape. This grizzly resident has been a fan-favorite since the attraction first opened 1978. In 2015, he received a transformation to give him a whole new look. Walt Disney Imagineering wanted to ensure that the mountain’s most famous resident would maintain a realistic look and even consulted with an anthropologist to give him convincing anatomy. 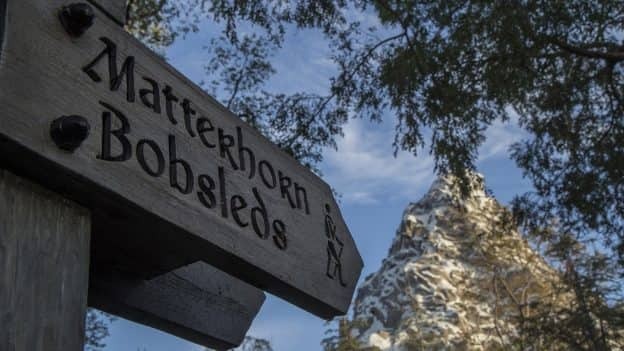 The Matterhorn Bobsleds has been one of my favorite attractions at Disneyland. I remember when it was the only roller coaster in the park, before Space Mountain and Big Thunder Mountain Railroad were built in the mid- to late-1970s. 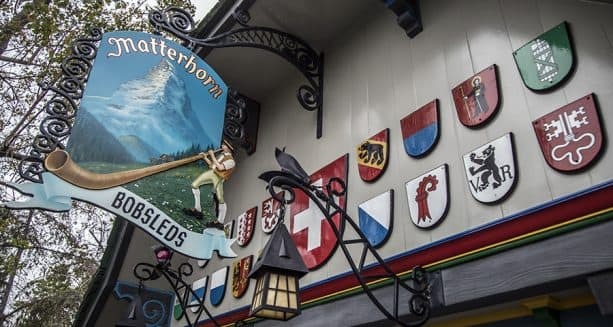 Back then, the Matterhorn roller coaster trains were single bobsleds and painted in various two-color patterns. 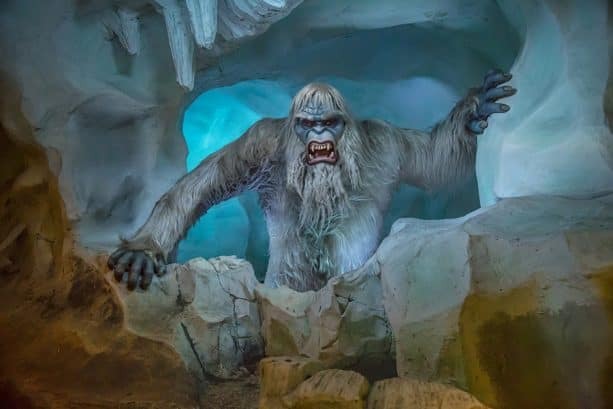 And actually, the Abominable Snowman was first added during the 1978 refurbishment, when the multiple holes in the mountain were filled in and the ice caverns were also added. The attraction had been in existence for almost twenty years when Harold the snowman was added. Thanks for sharing your story, and for the catch! The Abominable Snowman (aka Harold) has only been there since 1978. You are so right! Thank you, Jeffrey!